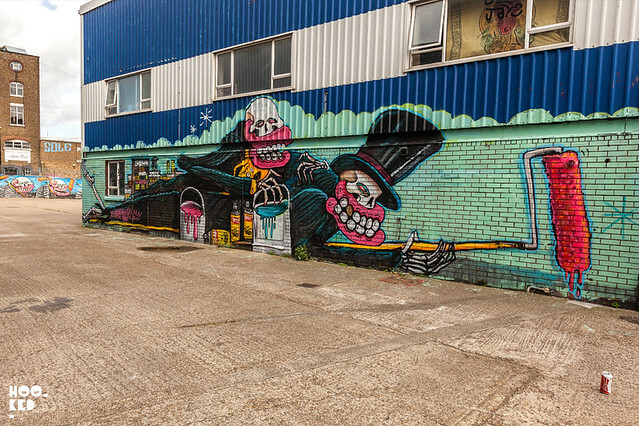 On a recent visit to Hackney Wick, it was apparent that London based street artist Sweet Toof had returned from his travels in South America and had been hitting the streets in the area. We featured a number of these new works only last week on the blog (covered here). 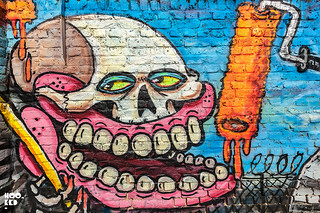 Returning for another visit to this East London neighbourhood it is evident that Sweet Toof is King in this part of town, from the street stickers to the drippy pavement teeth tags, murals and not to mention the large scale rooftop roller pieces immediately visible as you pull into Hackney Wick Train station, there would appear to be no surface that the artist has not redecorated. While strolling around Fish Island we discovered another series of new murals from the artist featuring his signature characters, rollers ready for some rooftop action no doubt. 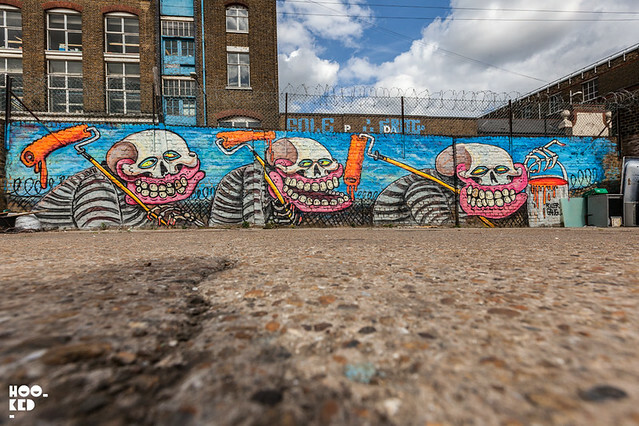 With an increasing number of the works going up in and around Shoreditch now painted on legal or managed walls it's refreshing to see that some street artists are still painting such large scale works illegally. 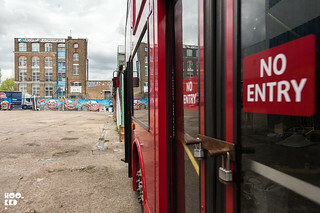 Below is a selection of images of the two new pieces we discovered on our latest trip to the Wick. 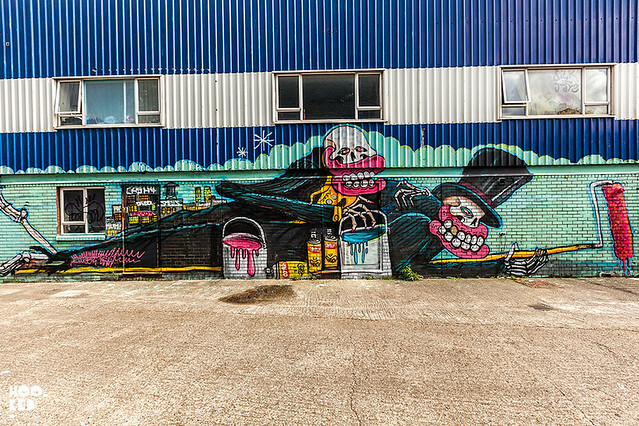 Sweet Toof hits up Hackney Wick with new works. 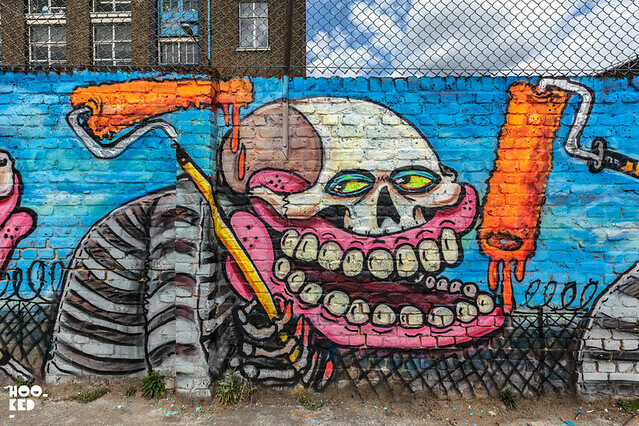 Street Artists Sweet Toof and Paul Insect Go Large in London! 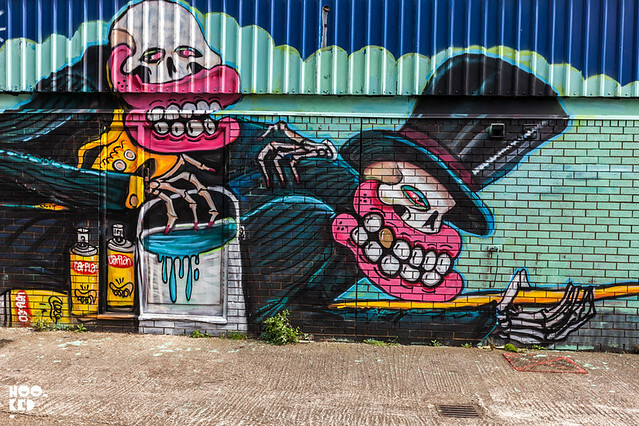 Clowning Around with Insect & Sweet Toof in London.